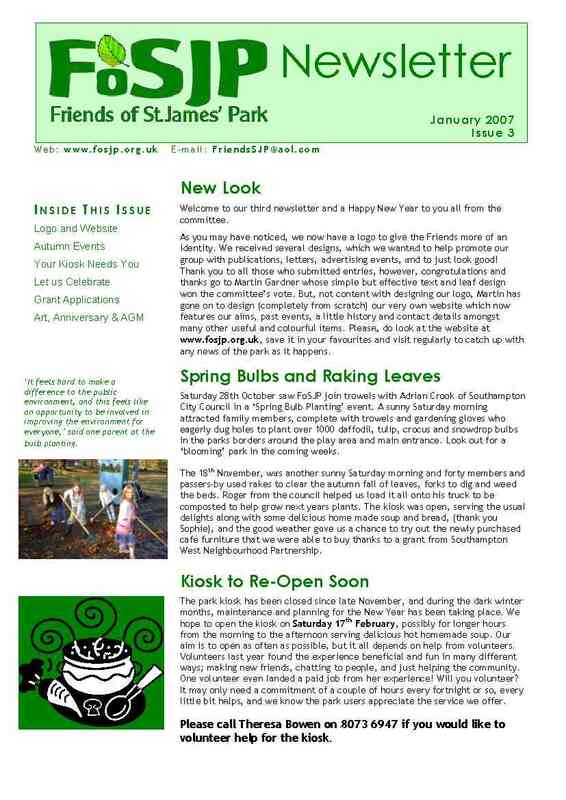 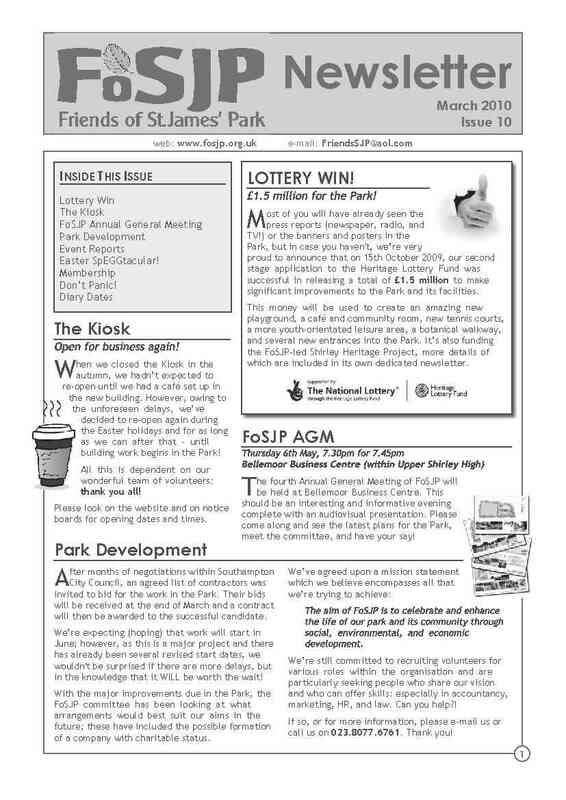 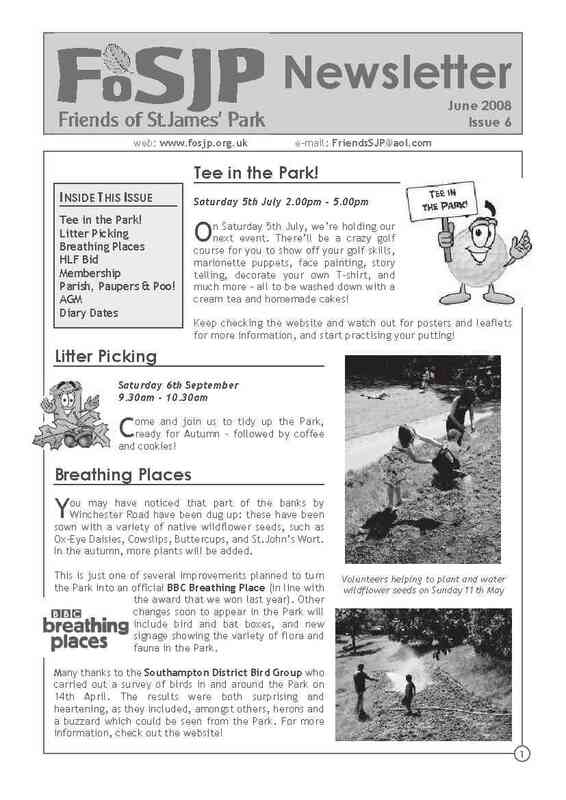 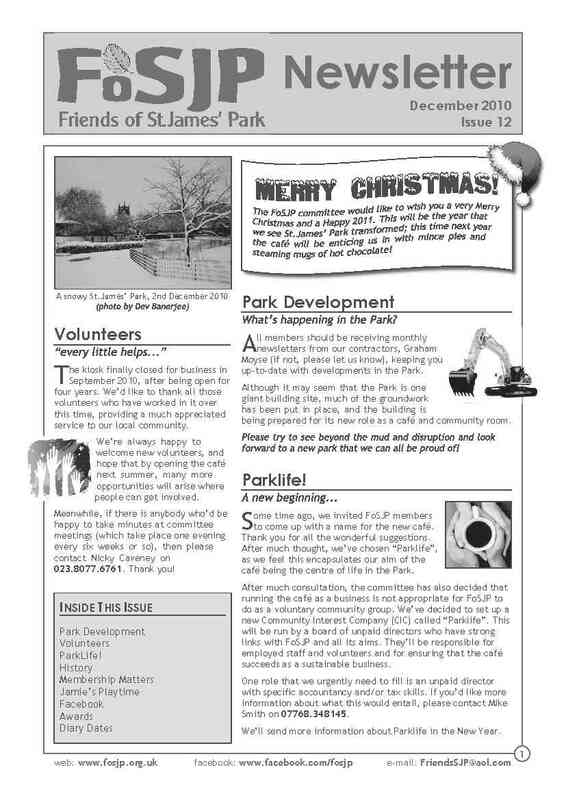 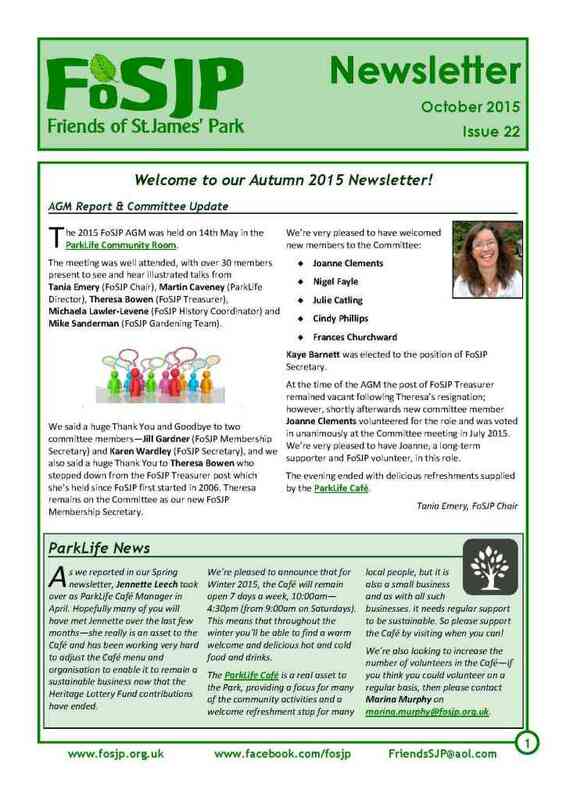 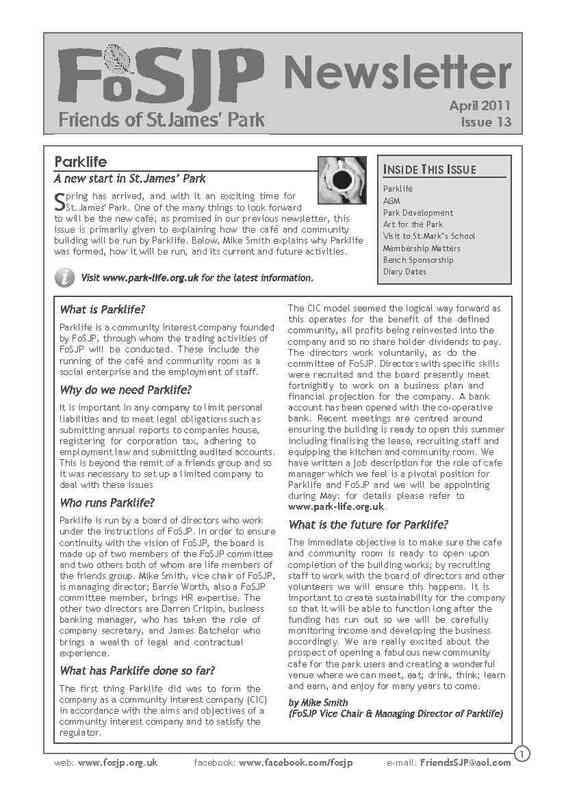 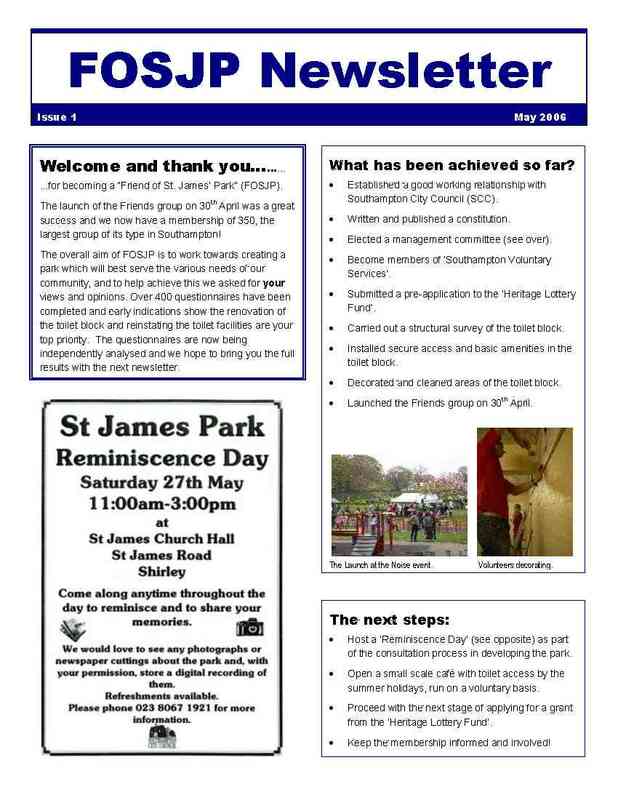 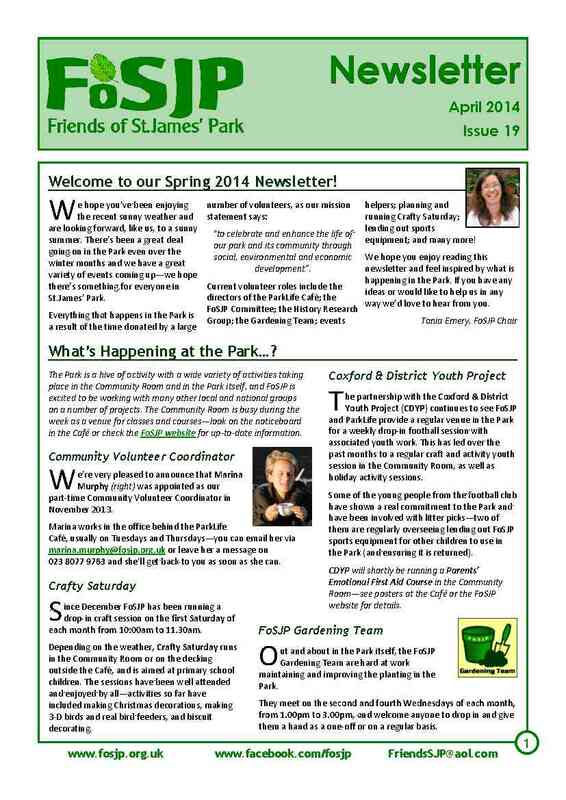 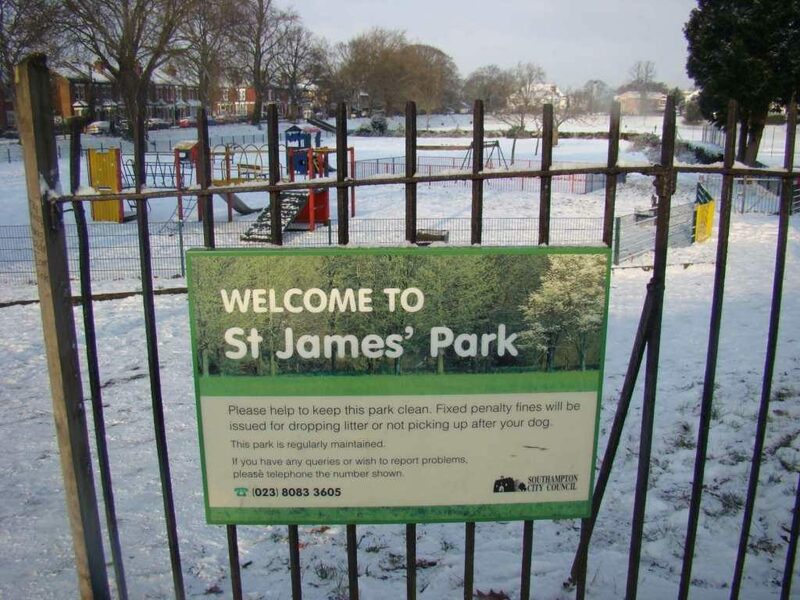 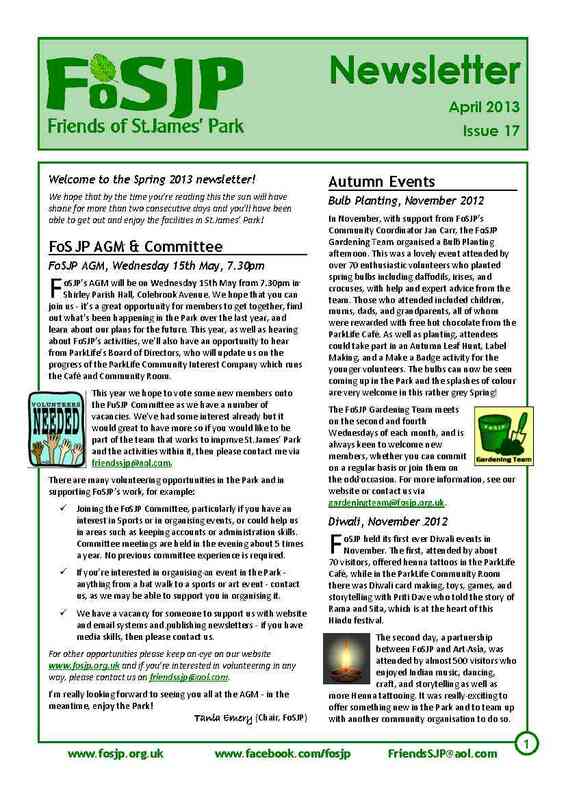 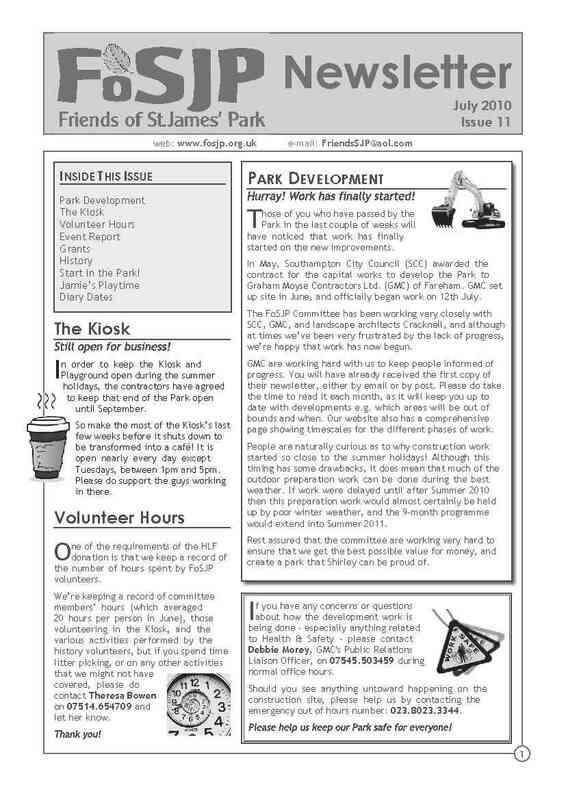 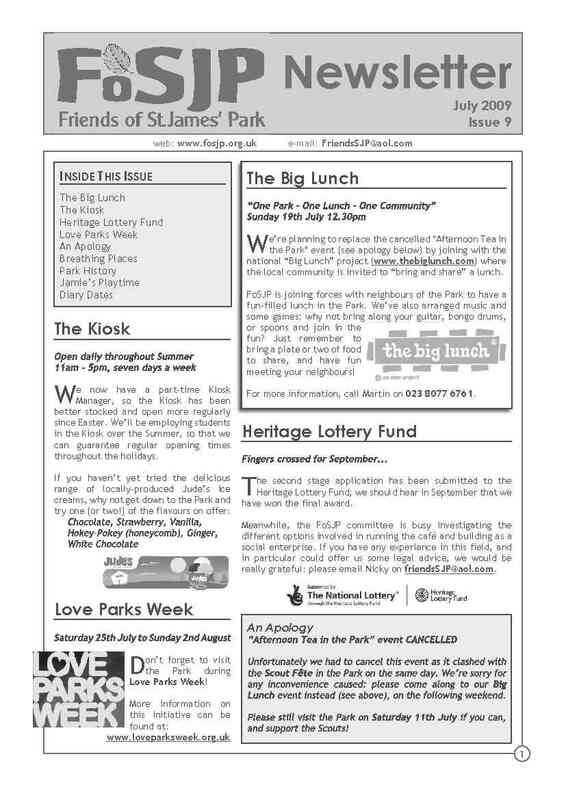 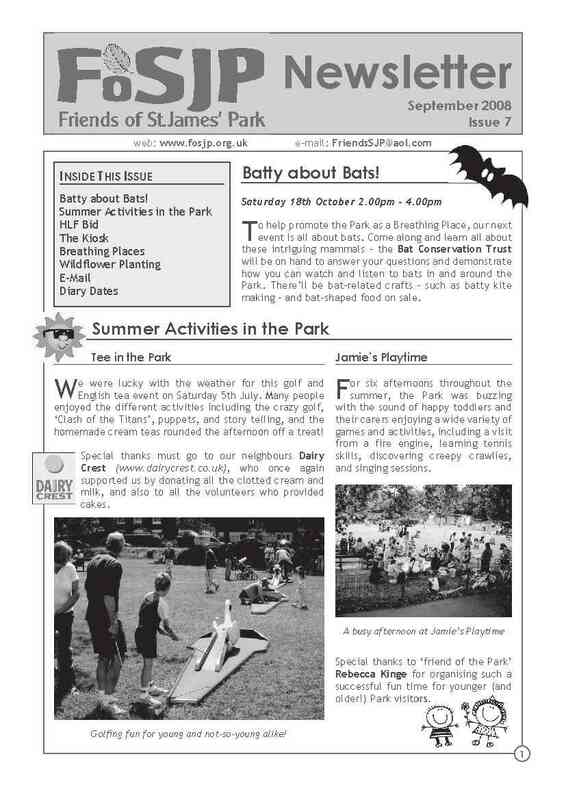 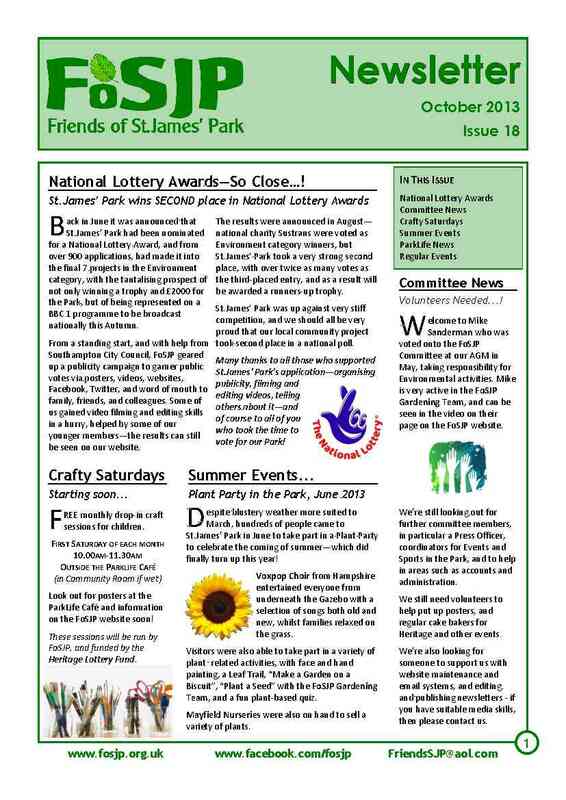 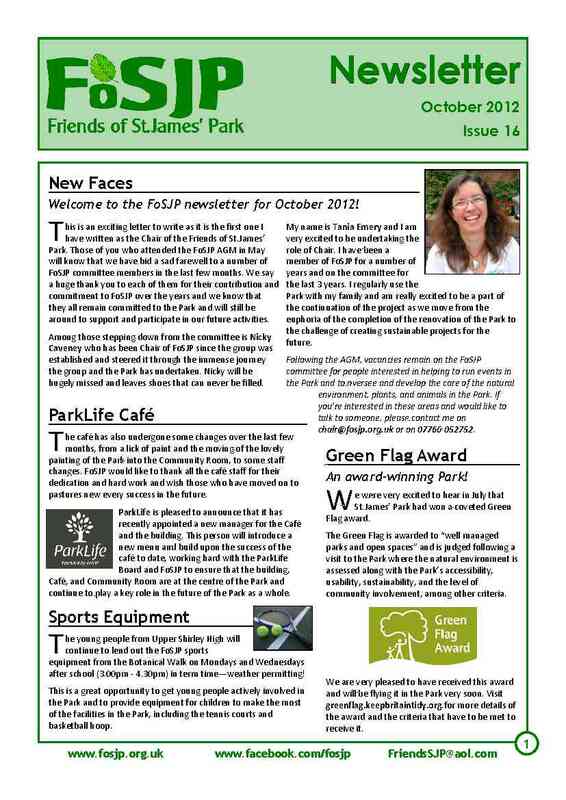 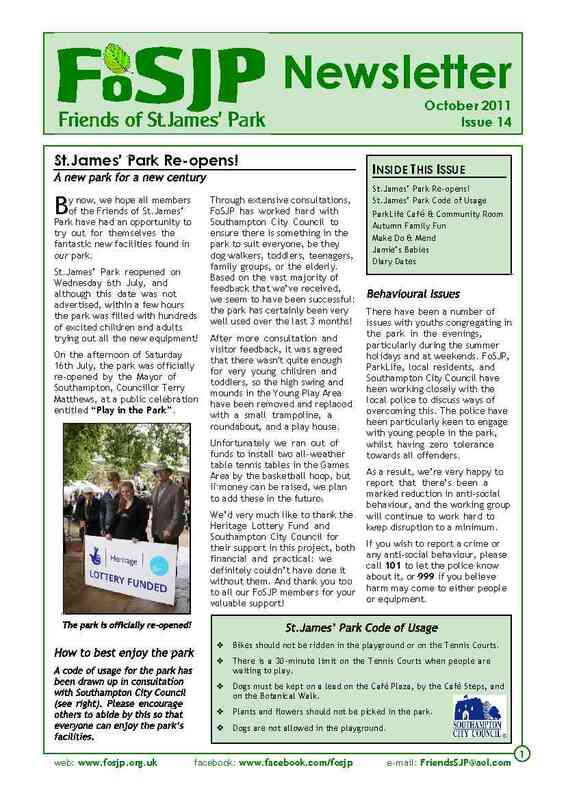 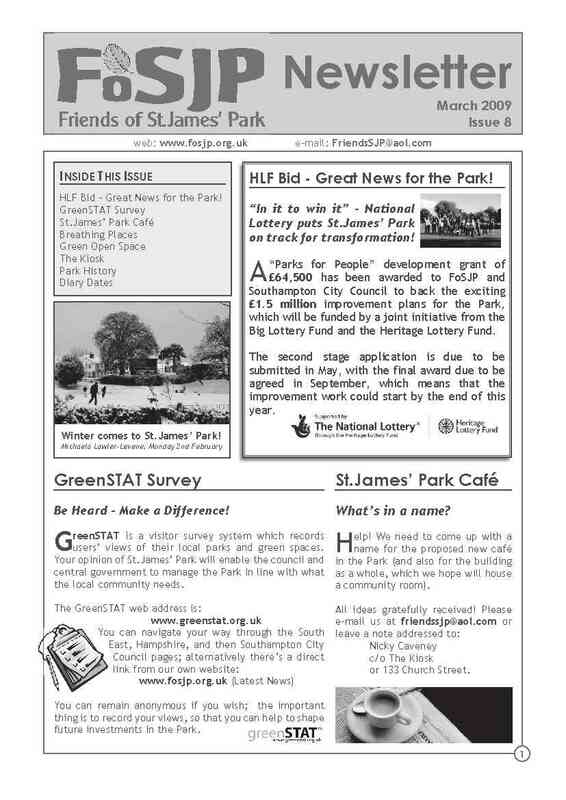 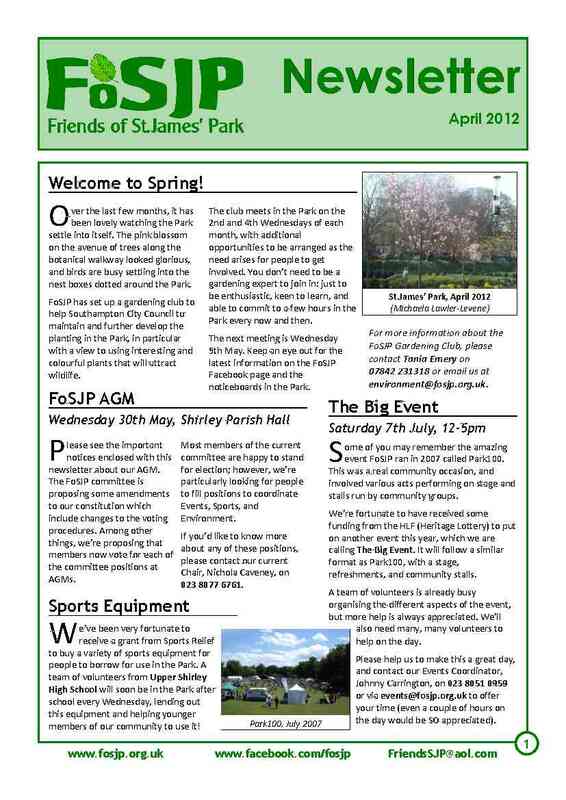 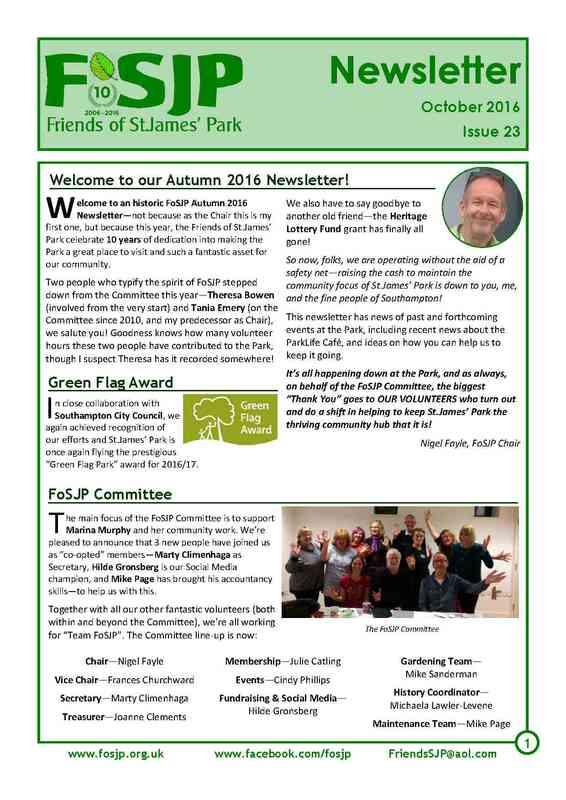 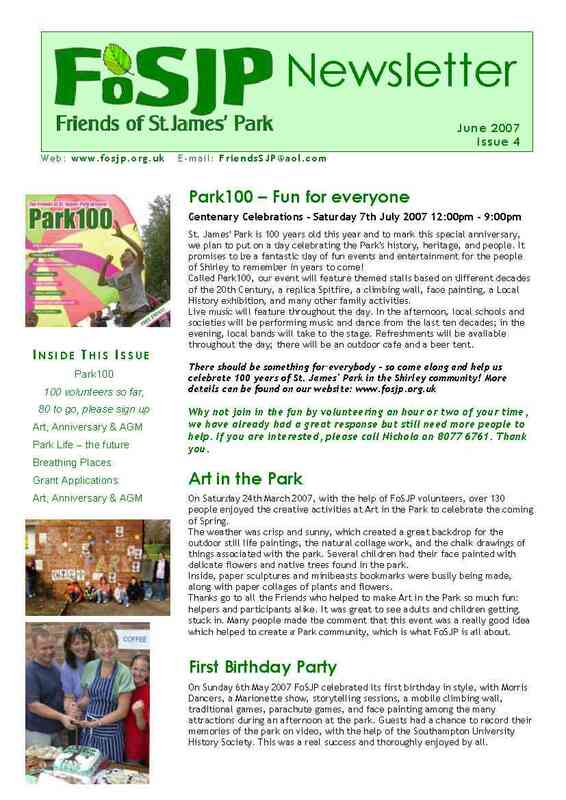 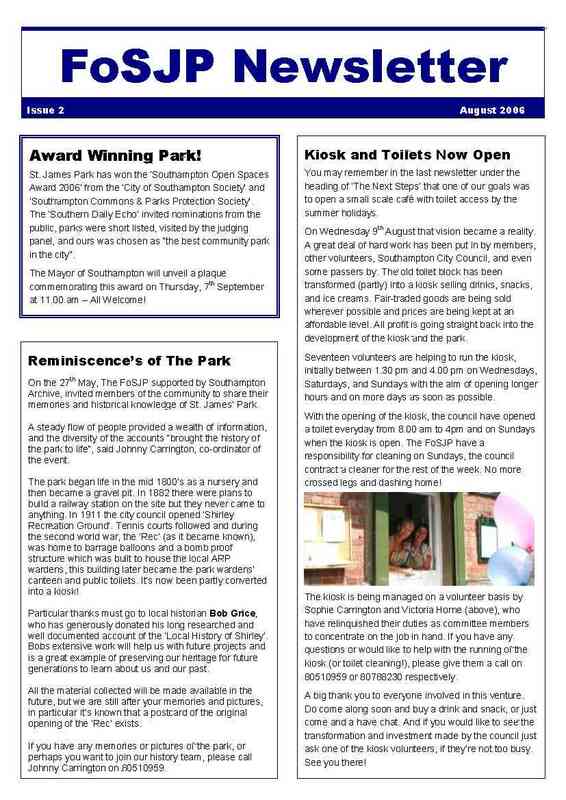 Shortly after FoSJP was established in 2006, we started producing newsletters to keep our members up to date on events in St.James’ Park. 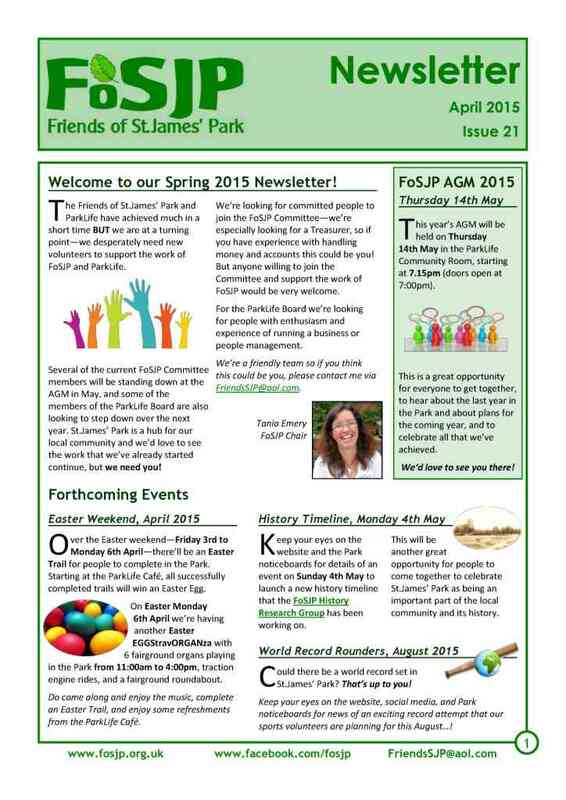 Newsletters are typically published twice a year and are emailed or posted directly to members. 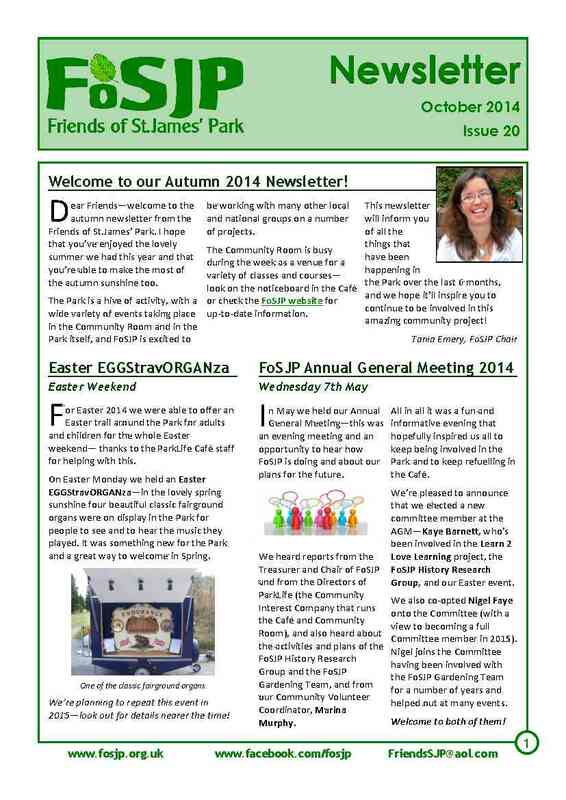 Please note that any contact details or requests for help in these newsletters might now be very out of date!